Why did they ever stop making these colors? We a list of the top five colors that can be ordered on cars today. That list helped us realize that there are many good looking paint colors in today's car market, but there is not that much diversity. Although there are some wacky colors like Austin Yellow, most shades are pretty similar. That's why we decided to look back on some of the most unique car colors that have ever been offered. These are all colors that we think automakers should bring back in some capacity. Let us know at the end which of these colors deserves to be revived. First up on the list is Midnight Purple. This color was an extremely rare option for the Nissan Skyline GT-R. Not only is this color no longer made, the Skyline itself is no longer associated with the GT-R name. Midnight purple was offered on the R33 generation and came in several versions. The current R35 GT-R doesn't have any cool signature colors that enthusiasts are clamoring to have. Owners of R32 and R34 GT-Rs like to convert their cars to Midnight Purple. That's how awesome a color it is. Not many cars still offer purple as a color option but Godzilla is quirky enough to look good in this weird color. We can't wait until this car is available to be imported, but this color will be expensive. Next up we have a color that is no longer offered on any model. Now Cadillac used to offer pink on some of its cars. Who would want to order a car in pink? Well, Elvis Presley himself was a fan of pink Caddys. He once bought a pink Cadillac for his mother and helped launch the color into popularity. Presley loved these cars so much that they are synonymous with the rock and roll legend. Pink Cadillacs have even been given away to top sales people by Mary Kay Cosmetics. Despite the historical significance of the color pink, Cadillac no longer offers it. How cool would you be driving a 640-horsepower supercharged CTS-V in Pink? The next color on this list might be one of the oddest colors ever offered. To commemorate the 40th anniversary of the Mustang, Ford released Mystichrome on the SVT Cobra. This color was able to change from bright topaz green to cobalt blue, then to royal purple, and finally to a deep onyx black. At the time, this color cost $150 per pint and if the owner needed a touch-up a specialist from Ford was sent out to supervise the application. If you wanted to order another model in Mystichrome, you couldn't. It was only offered for factory-built Mystichrome Cobras. Talk about awesome! You could even get an interior to match! Only 1,010 Mystichrome Mustangs were made as a $3,650 option. We'd love to see that option offered today. For the next color on our list we're going back in time yet again. Volkswagen's code for this unique shade of turquoise was L380. Turquoise is not a color that you think of when ordering your car, and we think that is quite a shame. The color looks excellent on classic VWs, and we think that it could spice up the current lineup. Volkswagen has been in the news for less than stellar reasons, and hearkening back to its quirky past may be a good distraction. We would love to see a Golf R or Beetle Turbo offered in this turquoise hue. Current Volkswagen cars can be fun to drive but have lost a little bit of the German quirkiness that used to make them truly special. By injecting some turquoise into the lineup, VW would be making a great move. Finally, we come to arguably the most unique color that BMW has ever made. Laguna Seca Blue was made famous on the E46-generation M3, and was a very rare color option. 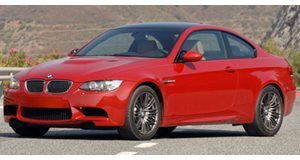 M3s painted in this color are now worth thousands of dollars more than one painted in a boring color like silver. BMW does make Yas Marina Blue, which many people believe is the same color. If you have ever seen them side by side you know they are definitely not the same. Laguna Seca Blue could still be ordered over the years through BMW's individual program. We don't really count this because you could technically order any color that is no longer made anymore. We think that the new M2 would be a to bring back this highly desirable paint color.